OFF-ROAD LIVE ! : Super Parker 425 RaceWeek Jan 30-Feb 4 LIVE! 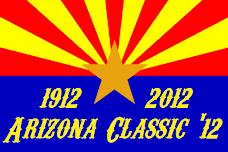 CLICK HERE FOR LIVE 2012 RACE UPDATES! CLICK HERE POP-OUT PODCAST SUPER Parker 425 Part 3, Casey Folks, Mikey Childress & MORE! Best in the Desert Racing Association and the BlueWater Resort & Casino has teamed up with Chuck Baker & Associates, the Parker Area Chamber of Commerce, Gene Price Motorsports, Parker Tourism, the Town of Parker, Parker Motor Company and John Churchill Law Office to present the third annual Parker 425 "Downtown Experience" so locals and visitors can get a firsthand look at the race vehicles and teams participating in the SUPER Parker 425. The event starts at noon on Thursday, when the race vehicles arrive from the time trials and head into downtown Parker for a "show and shine." Vehicles will park along Joshua Street and Arizona Avenue between 12th and 14th Streets from 1 to 3 p.m. Spectators can get a close up look at the vehicles and race teams will be on hand for autographs. The Arizona Copper Chopper will also be on display during the Downtown Experience. The Copper Chopper is a custom-made motorcycle that is the official mascot of the Arizona Centennial. The motorcycle was built by Paul Yaffe. The chopper has a 100 cubic-inch engine, 100 horsepower and 100 foot-pounds of torque. It has a top speed of 125 mph and goes 0-60 in 4.2 seconds. The Copper Chopper will be raffled off Feb. 12; raffle tickets are $5 each. A street party will begin in front of the Joshua Street Mall at noon. The street party will include the Parker Soroptimists will set up their River Diva Bar and Gene Price Motorsports will have their NASCAR racing team on site. Entertainment will be by the band Highway 95 from 2 to 6 p.m. There will also be food and other vendors as well as a go-cart racing track. At 3 p.m., the race vehicles will be escorted to the BlueWater Resort & Casino for tech inspection prep and a viewing of the time trial results. The Downtown Experience Street Party will continue on until 6 p.m. OFF-ROAD LIVE! For 39 years, off-road racing in the Parker area has been one of the premier events in the sport as described by Sal Fish with SCORE. It has endured name changes, changes in length, changes in promoters and sponsors, a course change due to an endangered species, dust storms and even snow. In 2008, the race, which is now the BlueWater Resort & Casino/Best in the Desert Parker 425, is as big as ever and draws some of the top names in the field. With its history, it's obvious this is a race where anything can and will happen. The official history of off-road racing in the area dates back to 1971. However, these were not the first races here. 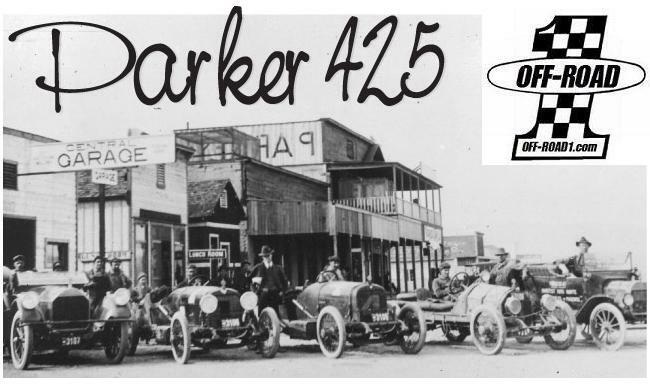 In 1911, one of Parker's leading pioneers, Joe Bush, staged a race from Parker to Wenden to promote his ferry service across the Colorado River. Bush won the race, primarily because he was the only one with a car. 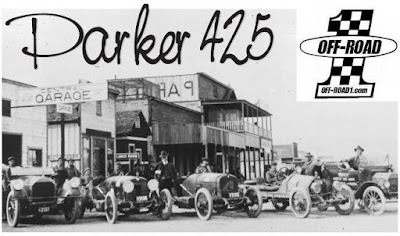 In 1916, a cross-country road race from Los Angeles to the Arizona State Fair included a stopover in Parker. The drivers stayed at Joe and Nellie Bush's Grandview Hotel. 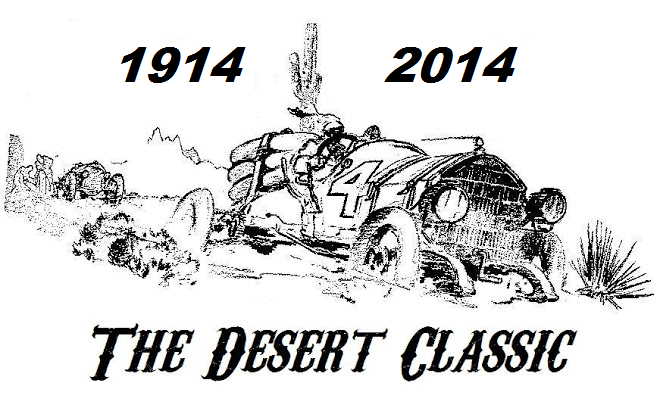 Participating in the desert road rally were Billy Hutt; Louis Chevrolet; Harold Bell Wright; Barney Oldfield and Ralph Hamlin. Joe Bush accompanied the group as far as Wenden and was ahead of the field after approximately 80 miles. In 1971, the official history began with the start of the Dam 500. It was created by the Parker Dam Chamber of Commerce and the National Off-Road Racing Association. 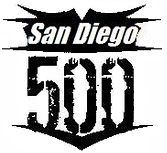 The race had 100 entries and covered 500 miles in Arizona and California. In 1972, 37 vehicles entered, but only 16 finished in the 24-hour time period. The 1973 race saw 83 entrants. There were also improved facilities, including bleachers and box seats at the Bluewater Marina starting line. The year 1974 saw a new name, the Parker 400, and a new promoter: Short-Course Off-Road Enthusiasts International was founded in 1973 by the late Mickey Thompson. Thompson had many "firsts" in his racing career. He was the first American to top 400 mph on the Bonneville Salt Flats, the first to use lights to start drag races and one of the first to recognize the potential of off-road racing as a truly international sport. Thompson recruited Sal Fish, then the publisher of Hot Rod Magazine, to be president of SCORE in 1974. The layout of the 1974 race consisted of 120-mile loop in Arizona and a 129-mile loop in California. The drivers made two laps in Arizona and one in California. The race ran through the area used by Gen. George S. Patton for training and war games in World War II. That year, 227 entries competed in the race. Over the next decade, the number of entries grew, as did the crowds watching the event on the Arizona and California sides of the Colorado River. By 1977, the race had 404 entrants and was attracting crowds between 70,000 and 75,000. 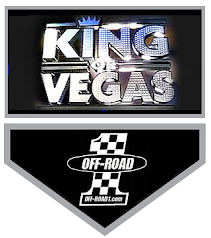 In 1985, SCORE and the Las Vegas-based High Desert Racing Association joined forces and brought national recognition to the sport. At the 1985 race, drivers who were prepared to handle dust, wind and the rugged terrain got a surprise. The race occurred during a "once-in-a-lifetime" event in the Parker area: it snowed. The cold weather and the fine, white powdery snow took its toll on the drivers. Only 153 of the 368 entrants finished the race. In 1987, the powder was brown as a dust storm impaired drivers' vision and choked everything it enveloped. A temporary Bureau of Land Management (BLM) public land closure is scheduled for February 3-4, 2012, for the 41st annual running of the Parker 425 Desert Race. The Bureau of Land Management (BLM) Lake Havasu Field Office has announced the temporary closure of selected public lands under its administration in La Paz County, Arizona. The Parker 425 Desert Race closure is in effect from 2:00 p.m. (MST) on Friday, February 3, 2012, through 11:59 p.m. (MST) on Saturday, February 4, 2012. The closure is being done to help ensure public safety and prevent unnecessary environmental degradation during the permitted running of the Parker 425 Desert Race. Areas subject to this closure include all public land; including county maintained roads and highways located within two miles of the designated course. ONLY AVAILABLE ON OFF-ROAD LIVE! 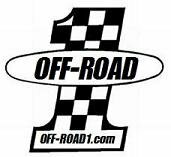 2012 RaceCast Starts February 4, 5 AM OFF-ROAD LIVE !